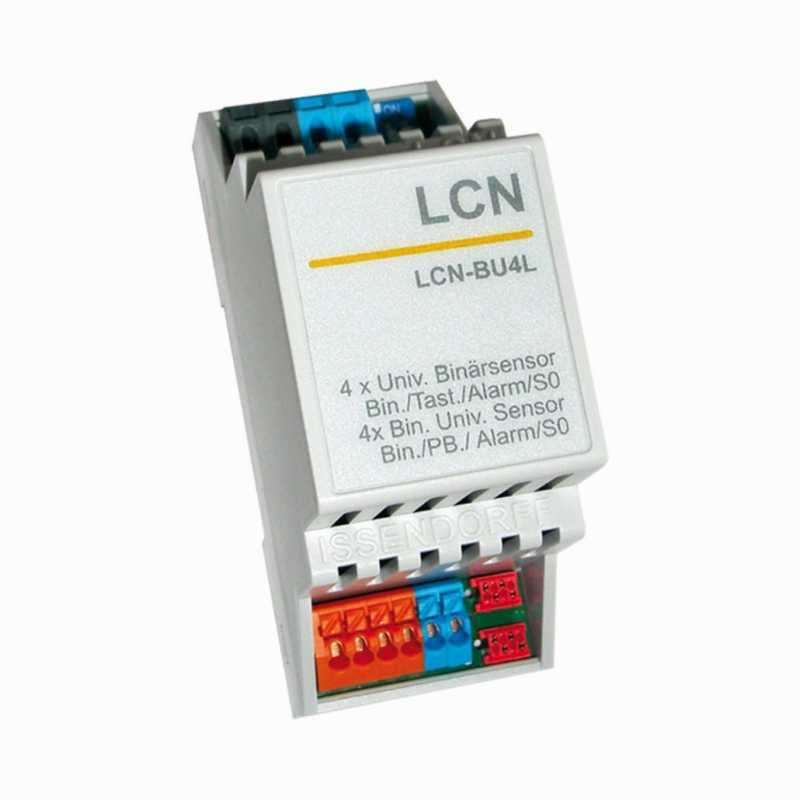 The LCN-BU4L is either used as a four-way digital sensor or key signal converter for floating contacts on low voltage (max. 24 V AC/DC) for all LCN-modules built since July 2010 (version 140719). In its function as key input conventional switches can be evaluated. As digital sensor permanent contacts such as timer or window contacts can be evaluated. In its function as key converter the commands short, long and loose are triggered in the A-table, in its function as binary sensor the commands long and loose are triggered in the B-table. By DIP-switch the LCN-BT4H can be switched from key converter to binary sensor and vice versa. The four inputs evaluate signals to ground (blue terminal). The inputs are galvanically isolated from the I-port. In its function as key converter the commands short, long and loose are triggered in the A-table, in its function as binary sensor the commands long and loose are triggered in the B-table.